Penrith is a suburb and major centre in the metropolitan area of Sydney, New South Wales, Australia. Take a break from the city and head to Featherdale Wildlife Park and Berowra Valley National Park. Hillsong Church and Museum of Fire are good opportunities to explore the local culture. Get out of town with these interesting Penrith side-trips: Othman Bin Affan Mosque (in Lakemba), Wat Pa Buddharangsee (in Leumeah) and Cronulla Beach Walk (in Cronulla). There's more to do: pause for some serene contemplation at Holy Family Catholic Church and engage your brain at Penrith Museum of Printing. To see more things to do, reviews, photos, and other tourist information, read our Penrith vacation maker . Chicago, USA to Penrith is an approximately 25-hour flight. The time zone difference when traveling from Chicago to Penrith is 16 hours. Expect a bit cooler temperatures when traveling from Chicago in September; daily highs in Penrith reach 73°F and lows reach 46°F. Finish your sightseeing early on the 17th (Tue) so you can travel to Manly. Deepen your sense of the past at sights like Vaucluse House and Barrenjoey Lighthouse. Get a sense of the local culture at Baha'i House of Worship and Whale Beach. Explore the numerous day-trip ideas around Manly: Palm Beach (in Palm Beach) and The Baha'i Temple (in Ingleside). Next up on the itinerary: learn about wildlife with up-close encounters at Taronga Zoo, view the masterpieces at Mosman Art Gallery, contemplate the long history of Manly Quarantine Station, and see majestic marine mammals with a dolphin and whale watching tour. 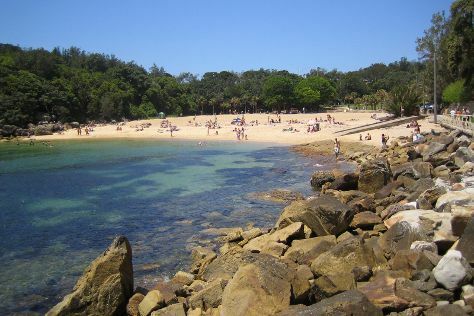 To find traveler tips, photos, and tourist information, go to the Manly trip planner . Traveling by car from Penrith to Manly takes 1.5 hours. Traveling from Penrith in September, you can expect nighttime temperatures to be somewhat warmer in Manly, with lows of 54°F. Wrap up your sightseeing by early afternoon on the 22nd (Sun) to allow time for travel back home.